These days, it seems you can go one of two directions with your superhero movies. There’s the Jon Favreau/Joss Whedon route, where the film reflects a comic book sensibility and there’s a healthy mix of action, pathos, and humor — as there was in Whedon’s The Avengers and the three Iron Man films. Then there’s the Christopher Nolan route, where the stakes are greater than in a typical comic book movie and the drama takes place at an epic pitch, as in The Dark Knight Rises. For years — 75, to be exact — the iconic hero, born Kal-El and sent to us by his parents before the planet Krypton exploded, has fought for “Truth, Justice, and the American Way,” saving his adopted planet from all manner of evil, and doing it (usually) with an “aw shucks” humility. Of course, when he wasn’t fighting bad guys, he was mild-mannered newspaper reporter Clark Kent, hiding behind a pair of nerdy glasses that somehow were able to keep his true identity a secret from even smart coworkers like love interest Lois Lane. In this latest incarnation, Snyder’s done away with a lot of that traditional thinking and saddled our hero (the impossibly handsome Henry Cavill) with all kinds of issues. For starters, Clark is torn between two worlds, and by extension, between his two fathers: his Kryptonian one, played by Russell Crowe, and his adopted one, played by Kevin Costner — both of whom play larger roles here than in previous films. 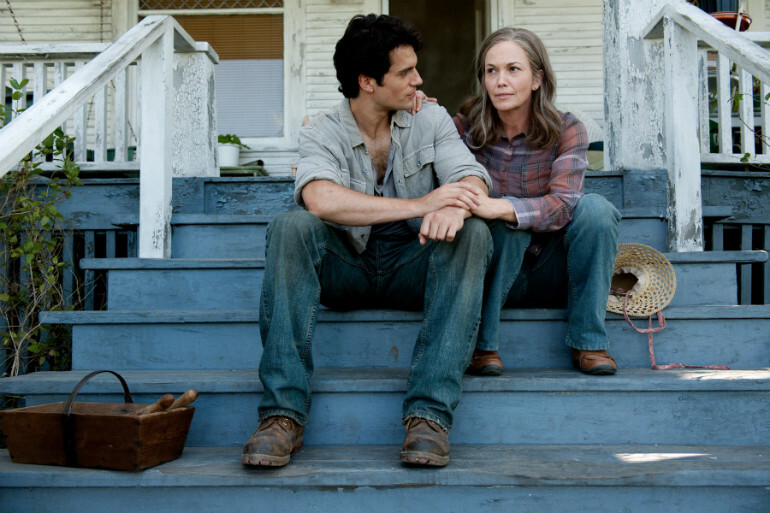 Clark, rather than stepping up as a hero, is still lost in his “new” world, still trying to find his place. He’s noble enough to do the right thing, but not comfortable enough to feel good about it. So in the early parts of the movie (which Snyder tells out of chronological order), he’s a loner who drifts from place to place, using a series of fake names, calling his abilities into action when necessary, and leaving a trail of good deeds in his wake. Needless to say, after one such event, the curiosity of Daily Planet reporter Lois Lane (Amy Adams) — I mean, Pulitzer Prize–winning Daily Planet reporter Lois Lane — is piqued. Despite the objections of her editor, Perry White (Laurence Fishburne, not given nearly enough to do), she goes looking for answers, then figures out who this “super man” is and confronts him and his mother (Diane Lane) at home in Smallville. And all that happens within the first 45 minutes. It’s true: Less than a third of the way into this movie, before Clark has even step foot in Metropolis, Lois knows his secret. And if that bit of mythology tweaking bothers you, you may not like how the rest of the movie plays out. 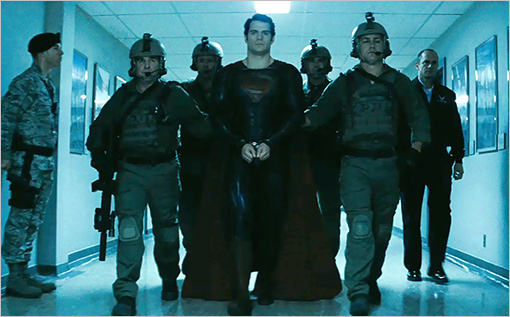 At one point, a female soldier says of Superman, “I just think he’s kinda hot.” That line may be the only moment of humor in the entire 143-minute movie — if you don’t count what happens to the IHOP in Smallville, that is. Of course, there’s a bad guy, General Zod (the excellent Michael Shannon), a survivor of Krypton who wants to turn Earth into Krypton 2.0. And unfortunately, like in far too many movies of this type, Shannon’s the only actor who gives a truly lively performance. Which is not to say Man of Steel is an entirely bad movie. Visually it can be pretty cool, even in 2D. The flying sequences are awesome, and the mayhem in the movie’s late scenes, for all the destruction it leaves behind, is really well done. It’s just that Snyder is too bogged down with making a big summer spectacle and hitting all the required wham-bam notes and raising the mythology to an epic level that he forgot to make his hero someone superhuman but inherently down to earth, a hero who we can care about and root for. Yes, what’s missing is the nerdy Clark Kent, the everyman who knows he’s super but must keep it to himself. By disposing of that bit of mythology, Snyder’s created a character and a hero without real humanity. A character who is an outcast by choice, not someone trying to fit in and be one of us, and make us better than we are. Superman may have been born on another planet, and he may have superhuman abilities, but at his core, he’s still a hero true to his corn-fed Midwestern upbringing. Man of Steel needed a bit more of that humility. It probably would have made for a more fun movie. 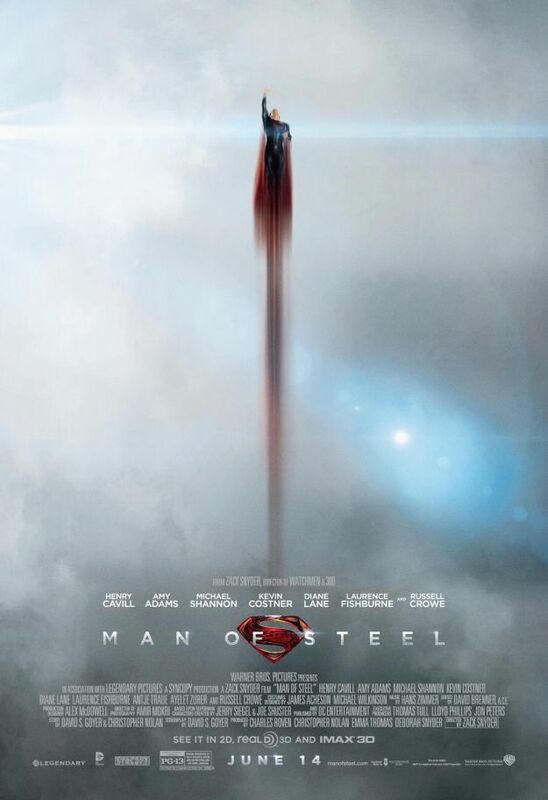 So I’m giving Man of Steel a B–. 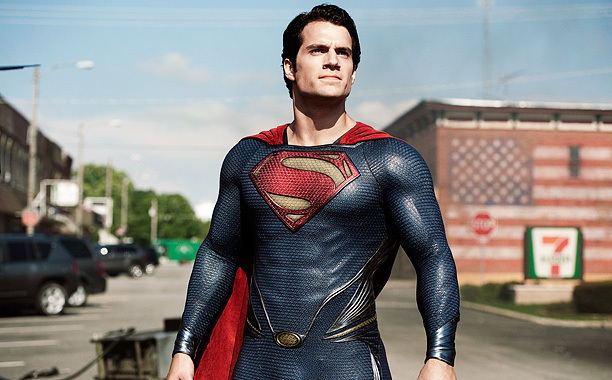 Which actor has been your all-time favorite Superman? Share your thoughts in the comments section below.